50th Annual International Houby Fest 2018 - Oct 4, 2018 to Oct 7, 2018 - Why Berwyn? - Why Berwyn? Website: View the flyer here! 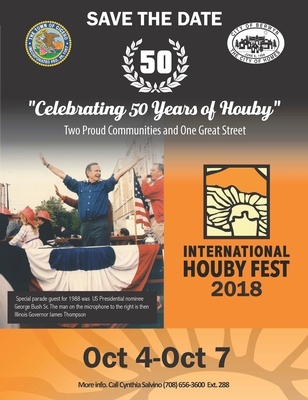 The 50th annual International Houby Fest sponsored by the City of Berwyn and Town of Cicero will take place from Thurs, Oct 4 through Sun, Oct 7 Celebrating 50 Years of Houby. This year's theme will be Honoring Our Military: Duty * Honor * Country. 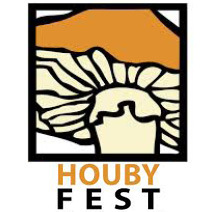 Beginning in 1968, the Houby Festival has celebrated the Czech and Slovak heritage and annual harvest with the symbolic “Houby,” the Czech/Slovak word for mushroom. Our time honored event draws over 15,000 enthusiastic spectators along our main street and remains as one of Berwyn & Cicero’s most popular events. In a wonderful display of cultural unity, the festival is now celebrated by different ethnicities and backgrounds from the surrounding community. Parade begins in Cicero on 54th Ave at Unity Junior High School. Parking available. For more information, contact Cynthia at (708) 656-3600 Ext. 288.